ATLANTA–An organic chemical compound shows effective antiviral activity against Ebola virus and several other viruses, according to a study led by Georgia State University. The researchers found benzoquinoline inhibited the ability of Ebola virus to multiply and reproduce in cell culture. The findings are published in the journal Antiviral Research. Ebola virus, a member of the filovirus family, is an enveloped, single-stranded RNA virus that causes severe disease in humans. The largest outbreak on record for the filovirus family was caused by Ebola virus in West Africa between 2013 and 2016, resulting in more than 28,000 infections and more than 11,000 deaths. Only experimental treatments were available, and survivors, including health care workers, are at risk for persistent infections from the virus remaining in sites that can tolerate foreign substances without eliciting an inflammatory immune response, such as the eye and testes. There are no approved drugs to treat Ebola virus or other filovirus infections, so there is a critical need for new therapeutic approaches. A potential antiviral target is the viral machinery and activities involved in carrying out RNA synthesis for Ebola virus. 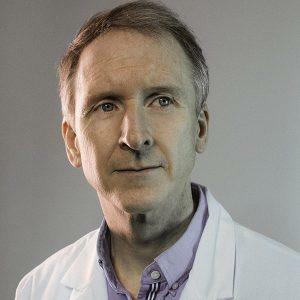 "This work provides a foundation for the development of novel antiviral agents to combat Ebola virus," said Dr. Christopher Basler, director of the Center for Microbial Pathogenesis and professor in the Institute for Biomedical Sciences at Georgia State and a Georgia Research Alliance Eminent Scholar in Microbial Pathogenesis. In this study, the researchers screened a library of 200,000 small molecule compounds to identify potential inhibitors of Ebola virus RNA synthesis. They identified 56 hits that inhibited Ebola virus activity by more than 70 percent, while showing less than a 20 percent chance of being toxic to cells. They discovered three chemical structures with potent antiviral activity against Ebola virus in cell culture. Human lung epithelial cells and human embryonic kidney cells were exposed to several viruses, Ebola virus, Marburg virus, vesicular stomatitis virus and Zika virus, and the antiviral effects of the three chemical structures were observed. One of these chemical structures, benzoquinoline, showed antiviral activity against Ebola virus and was also active against another deadly filovirus, Marburg virus. Benzoquinoline was also effective against vesicular stomatitis virus from the rhabdovirus family, which can infect insects, cattle, horses and pigs, and Zika virus, which is spread to humans by mosquitoes. "This study is part of a larger effort to find new therapies to treat highly dangerous Ebola virus infections," said lead author Dr. Priya Luthra of Georgia State. Co-authors of the study include Sudip Khadka, Megan R. Edwards and Sampriti De of Georgia State; Jue Liang, Shuguang Wei, Bruce Posner and Joseph M. Ready of the University of Texas Southwestern Medical Center; and Colette A. Pietzsch and Alexander Bukreyev of the University of Texas Medical Branch at Galveston. The study is funded by the National Institutes of Health. To read the study, visit https://www.sciencedirect.com/science/article/pii/S016635421730640X.